We arrived in Vegas after our tour and took a taxi up the strip to our new hotel, The Bellagio; our bit of luxury on our trip! The taxi pulled in underneath the enormous entrance amongst the huddle and bustle. The grand entrance was huge and suspended from the ceiling were enormous colourful butterflies. We sweet talked the receptionist and got an upgrade to a suite on the 32nd floor. The room was big, the bathroom was as big as some rooms we had had on our travels: two soft queen beds; soft fluffy robes and slippers; a view of some of the hotels; a bath and separate shower; and automatically opening curtains. We unpacked, changed and went for dinner at the hotels steak restaurant. We treated ourselves to a bottle of wine and watched the famous fountain show from our seats while tucking into some delicious steak. We then hit the casino. After walking around and sussing the place out (where the cheap tables were!) we separated off and did some gambling. Mike played blackjack while I went on the big wheel and roulette tables. Surprisingly, we ended up for the night so headed for bed. In the morning we headed downstairs and booked ourselves tickets for the evenings performance of cirque du soleil. Staying at the hotel we got a discount so where able to get better seats than we thought but it still wasn’t cheap. We then took a walk out onto the strip and went to Caesar’s Palace shopping mall to get some new t-shirts. We had been wearing the same clothes for months and in all our photos we are wearing the same old thing! Next door was an art gallery, and an hour later we had purchased some art and it was being sent back home to my sister! In the afternoon we relaxed by the pool, had some lunch and generally lazily laid about the hotel. The show in the evening was spectacular: the moves and performance of the actors and gymnasts was truly breathtaking. The whole show could of done with a better story line but it was well worth a watch. The premise was all set around water and the actors dived and tumbled in and out of the pool in strange shapes and configurations; in synchronisation and separately. Never having seen cirque du soleil before it was a great piece of entertainment. Afterwards we went outside and saw a bit of the strip and the fountains show. The temperature was cooler and we saw some of the amazing hotels along the famous road. 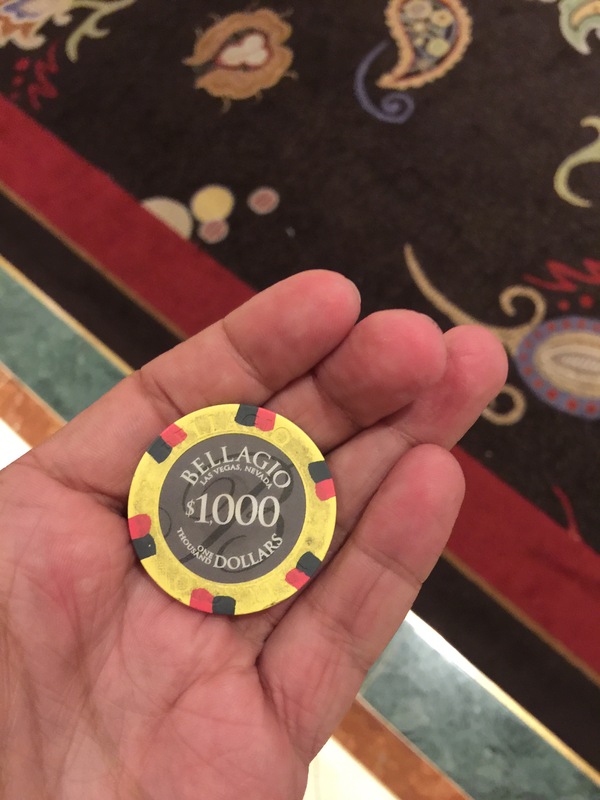 Then we did a bit more gambling with some free drinks and headed back to the room a bit worse for where; which was not good with an early flight to LA the next day! Vegas had been great fun and we had won a bit of money. Now it was onto Hollywood!